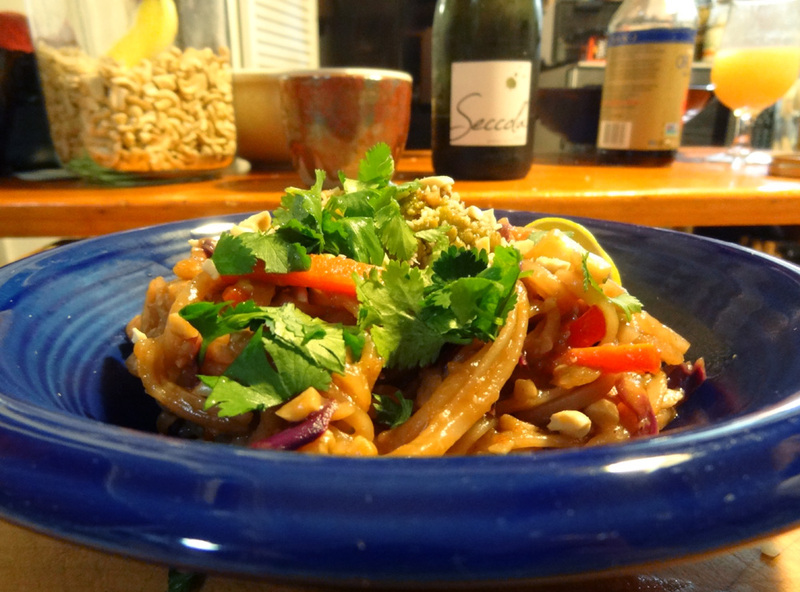 I love a good pad thai…but it’s something I’ve never made at home until a few days ago. I had the noodles, but not the usual gamut of veggies that you see in pad thai: bean sprouts, bok choi, peanuts. Nor did I have eggs or the requisite tamarind paste. I did, however, possess red bells, romanesco (you know, the fractal plant), tamarind chutney (from the Indian market), cashews, purple cabbage, and a hankering for pad thai, so I improvised. It was excellent, and here is my recipe, culled from researching other pad thai recipes, especially this one. Ryan, who lived in Thailand, said it was great. No matter what veggies you have lying around, I’d venture that they’d be good in your pad thai, veggie voyager style! Bring the water to a boil. Turn off the heat and allow the noodles to soak for about 5-6 minutes, until flexible but still chewy. Drain and rinse with cold water. Set aside. You will finish cooking them in the pan. In a bowl, combine these ingredients and set aside. In a small amount of oil saute the onion until it begins to become translucent. Add the garlic and the ginger and allow it to soften and cook. 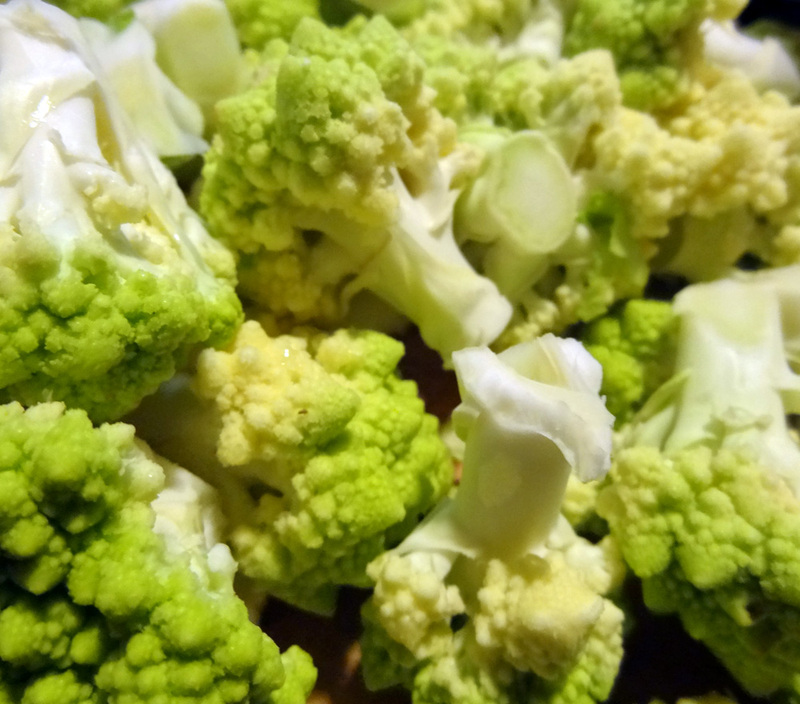 Add the romanesco (or broccoli) and carrots. A minute or so later, add the cabbage and the red bell pepper as well as the noodles and most of the cashews. Pour 1/3 of the sauce over the noodles and stir. Continue stirring so that the noodles don’t stick to the pan but do begin to get sticky. When the liquid has soaked up, add the next third, and again for the final third. Try a piece of noodle and if it is not soft enough yet, begin adding small amounts of water (1/4 cup at a time), continuing the cooking process until the noodles are to your taste. Plate the gorgeous mess and sprinkle with chopped cashews and cilantro. Serve with a wedge of lime. I did not add the usual egg to my dish but if you would like to, do so just before you add the noodles: create a small space in the pan, add a little oil. Pour 1 or 2 beaten eggs into the space and allow to cook, stirring occasionally until they are scrambled. Proceed with the noodles. Or, do it like they did at Saffron restaurant, where a single egg is fried so thinly that looks like lace, and drape it over the top of the Pad Thai. If you have bean sprouts, use them as they are a great classic ingredient. Add them towards the end, or raw, at the end. 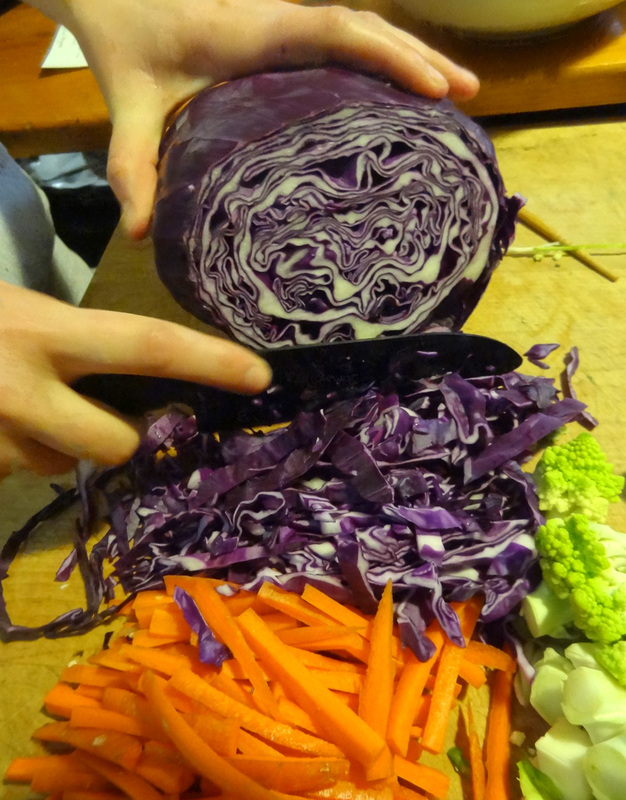 Previous Post A New Veggie Voyage… 5 days & counting! Sounds delicious! I think I'll try this with the Thai Iced tea.